Happy looong weekend my fellow Canadians! You know what that means… glug, glug, or maybe it means the Queen’s birthday, you choose! Since today kicks off the May long weekend, the sun is shinning, and the kiddos are out of school early, I thought it would be the perfect day to set up our patio drink station, and get mixing some tasty tropical blender drinks. 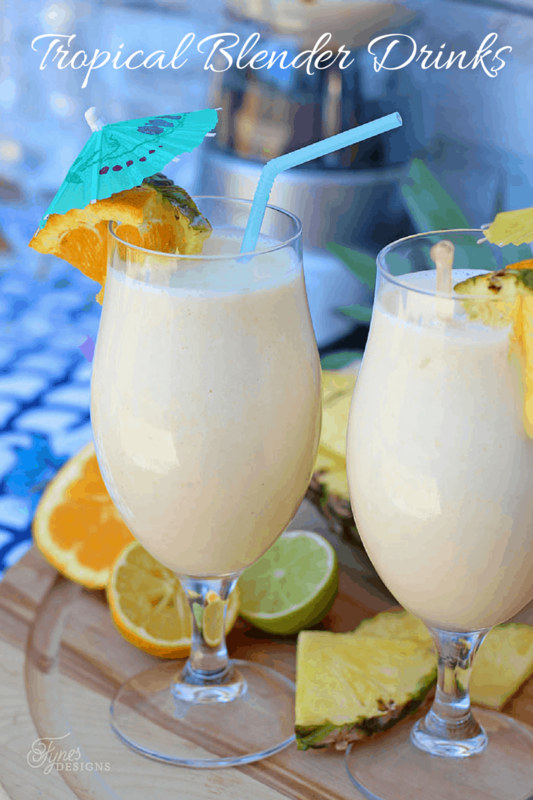 Even though this Smoothie Recipe is alcohol free (perfect for the kiddos) you could easily add Parrot Bay or Malibu to the mix to put a little fiesta in your straw! These fruit smoothies were so tasty the kids slurped them back in seconds and came back for more. Plus they are healthy, so all that glug glug isn’t going to be dripping in sugary syrup. Adding a scoop of greek yogurt makes them extra creamy and delicious. 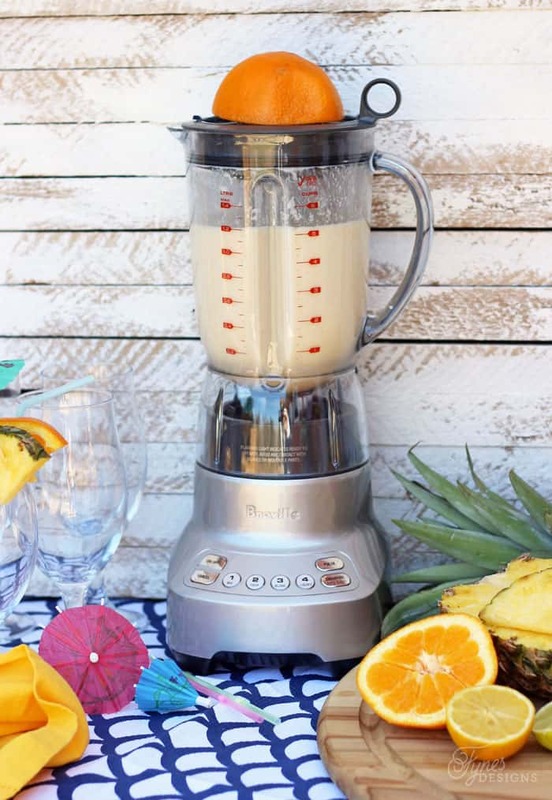 This summer were adding the new Breville Hemisphere™ Twist blender to the mix. This blender with a built in citrus cone allows you to easily add a citrus punch to any recipe. Plus it has a button specifically for creamier smoothies! We’re seriously loving this blender, I didn’t even have to stir it 500 times to get the ice crushed up! Place ice and yogurt in the Breville Hemisphere™ Twist blender, pulse until crushed. 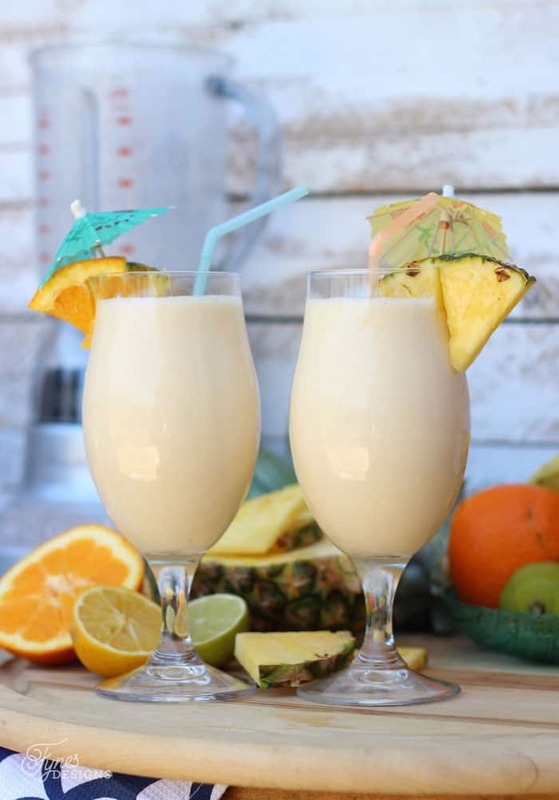 Add pineapple and banana replace cover, turn blender by pressing the Smoothie function. Using the citrus cone, juice 2 oranges into the blender while on. Remove cap, divide into 4 glasses. Garnish with a pineapple an orange slice. 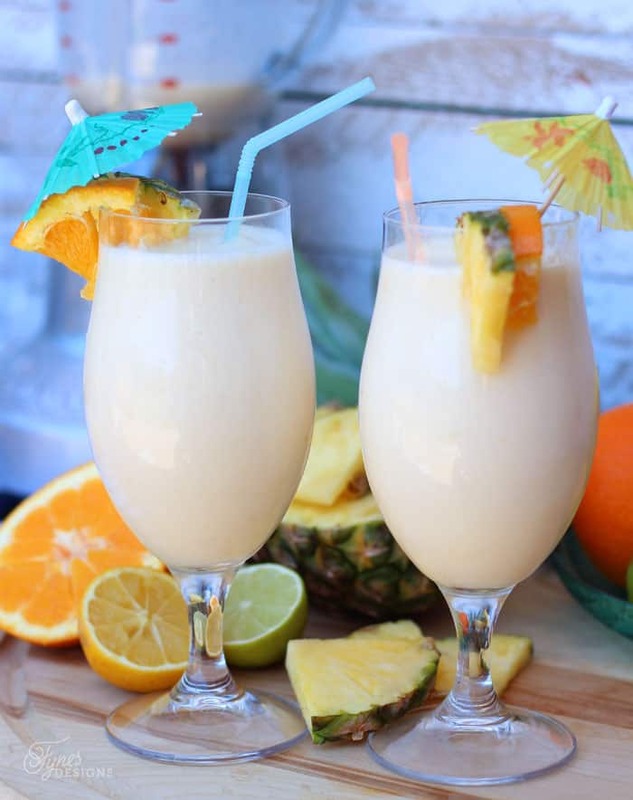 These fruit smoothie drinks almost make you feel like you’re in a tropical paradise. 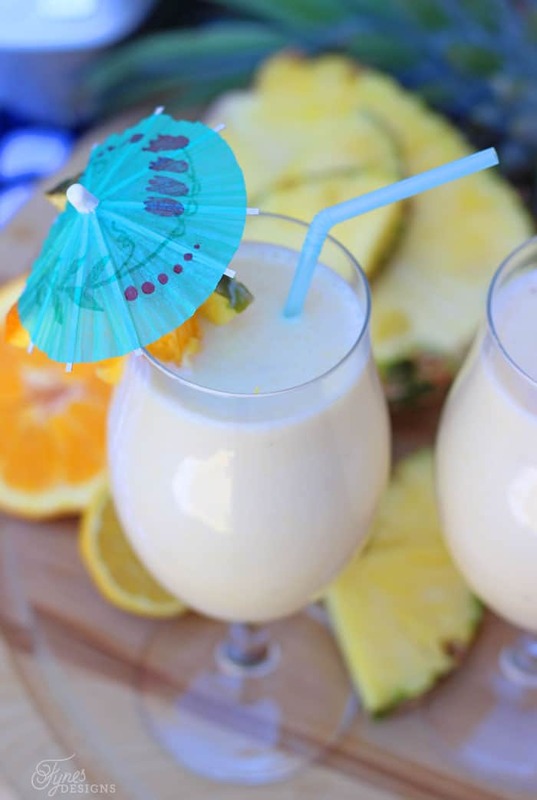 I can’t wait for bathing suit weather when we can laze by the lake sipping one of these! What do you think, want to swing by for a fruit smoothie? I’d love to show you all the tricks my new Breville Hemisphere™ Twist blender has, I just might have a few other smoothie recipes up my sleeve too! How are you taking in the May long weekend? Any favourite blender drinks that are your go-to? Disclosure: Breville generously supplied the blender for this post. All ideas, photos and opinions are my honest opinion. YUM! This sounds perfect for Summer. Love that greek yogurt is in it. perfect for summer indeed! The greek yogurt makes it extra creamy, yum! These look so pretty! I’m sure they taste good too. Thank you for linking up to the Bloggers Brags Pinterest Party. I am finally getting around to pinning your post to the Bloggers Brags Pinterest Board.